There is a powerful Polynesian tradition in the act of offering; this philosophy permeates the Olukai design and is seen in their comprehensive range of sandals. The Hawaiian Lifeguard Association (HLA) designed the Olukai Ohana Sandal, over four hundred lifeguards wear the OluKai Ohana and there is good reason for this choice. The EVA anatomical foot bed and the specialized outsole grip is outstanding on wet surfaces. 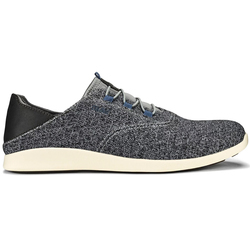 The Ohana have a synthetic leather thong and quick drying Lycra knit lining. This sandal inspired the Ohana give back program. Ohana is literally translated as “family” but family extended is community. In accordance with the tradition of offering, a portion of the sales of these sandals goes back to the HLA Junior Guard Program. 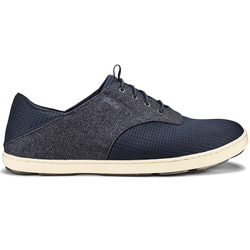 Olukai is true to its mission. 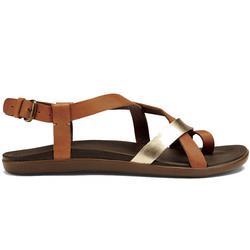 The beautiful is reflected in the Olukai sandals. 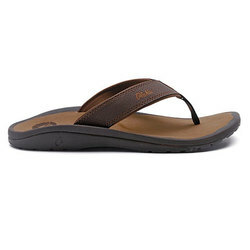 The OluKai Paniolo Sandals for women offer more than great fit and comfort. 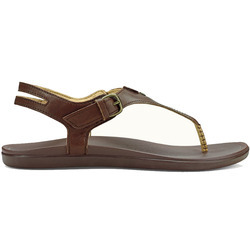 These sandals are inspired by the culture of the Hawaiian upcountry. 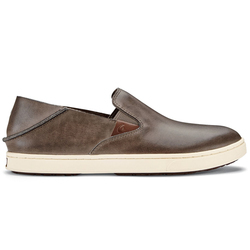 The upper has a delicate stitch detail that is hand sewn into deeply oiled leather. 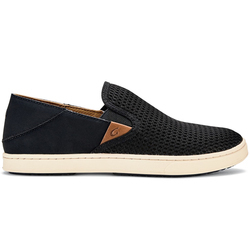 The full grain leather foot bed works in combination with the anatomical compressed molded EVA midsole for the sheer comfort OluKai is known for. 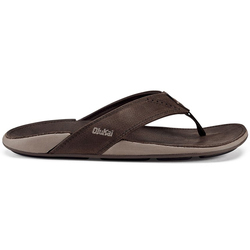 For men the Olukai Hiapo Sandals provide incredible comfort with a high standard of quality. 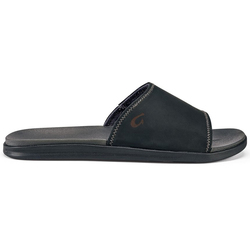 These flip flop styled sandals have the standard premium full grain leather upper with a synthetic pigskin lining and neoprene backer. Once again the compression molded EVA midsole provides great support and a fit that feels personal. 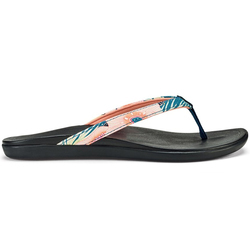 In addition, this sandal features the Polynesian Moko tattoo art. 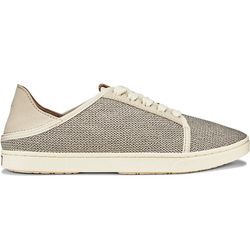 Olukai designs are charming with lovely beach appeal. 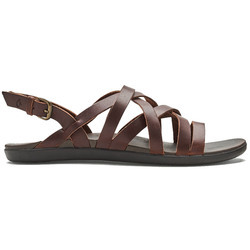 Another great men’s sandal is the Olukai Hokua. 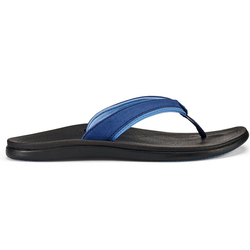 These water resistant sandals have the same EVA midsole combined with the brushed ICEVA drop in foot bed that make it difficult to wear any other shoe. 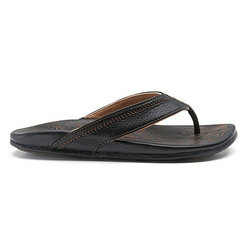 The soft nylon toe post webbing and super grip like outsole cannot be beat in this pair of sandals. 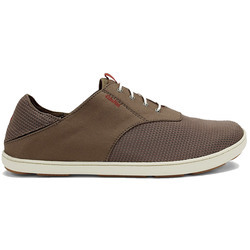 Olukai is not only about function, the stylish deco stitching and logo embroidery add that splash of class to the day. 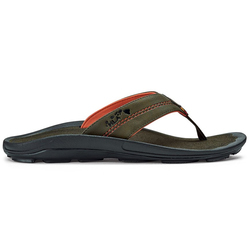 The Olukai design principle comes through loud and clear in their range of sandals. 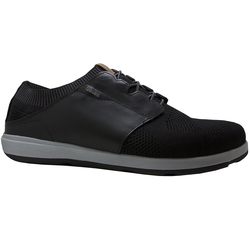 They make each piece of footwear with style, durability and incredible comfort in mind. Style works with feels as the handcrafted details honor island and surf culture. 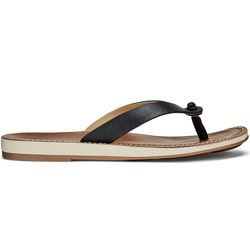 These sandals and their range of shoes come with a one-year guarantee that reflects the commitment to quality in which Olukai prides itself.